Brands that take their corporate social responsibility seriously have a really special place in my heart and in my life – and Vaseline is one of such brands. Together with Direct Relief, Vaseline is on a mission to help restore the skin of 5 million people living in vulnerable conditions by 2020. And considering that over 90% of HIV sufferers develop serious skin conditions but there is only 1 dermatologist for every 3-4 million people in the public sector of health care, the need for the Vaseline Healing Project is greater than we all realize. During this year, Vaseline has educated over 370 nurses, doctors and other medical professionals on essential skincare, through dermatological training, and effective treatment for their patients – and that’s just the start. Vaseline aims to improve skin health by donating both products and equipment to clinics in need and by providing training to healthcare workers along with a national initiative to bring training, treatment and relief to all South Africans in the upcoming months. 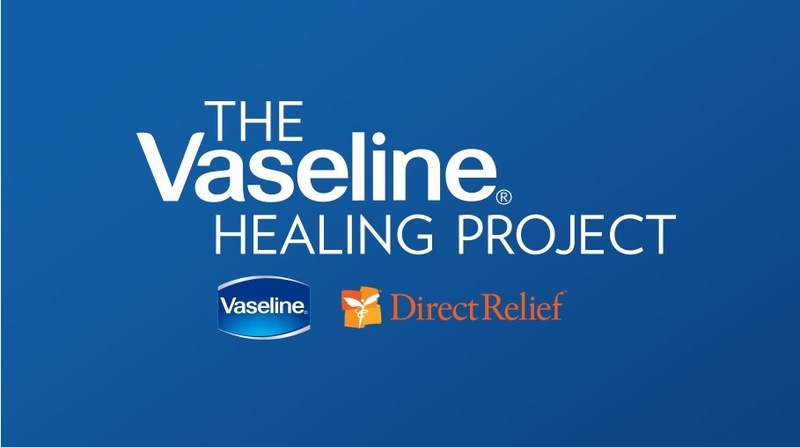 If you’d like to read more about the Vaseline Healing Project or if you’d like to donate, check out their website here! Now on to the giveaway..
It’s no doubt that Vaseline BLUESEAL is probably one of the most versatile products out there. With over 101 uses, including restoring cracked and dry skin, preventing further damage to scabs and cuts, soothing itchy skin and nappy rash, grooming eyebrows and perfecting your winged eyeliner, it’s a definite must-have for all homes. To enter, all you’ve got to do is comment below and tell me what your top 2 uses for Vaseline is – yup it’s as simple as that.